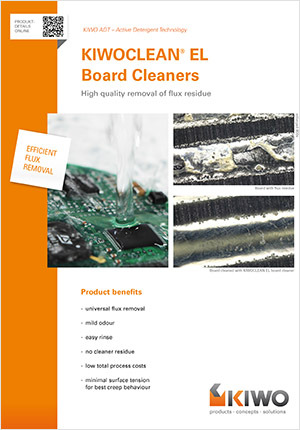 All types of flux residue – with lead, lead-free, no-clean and water-soluble – are efficiently removed; also on boards and packages with short distance to the circuit boards. 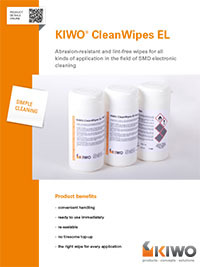 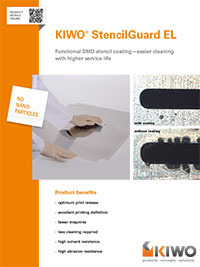 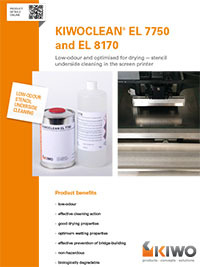 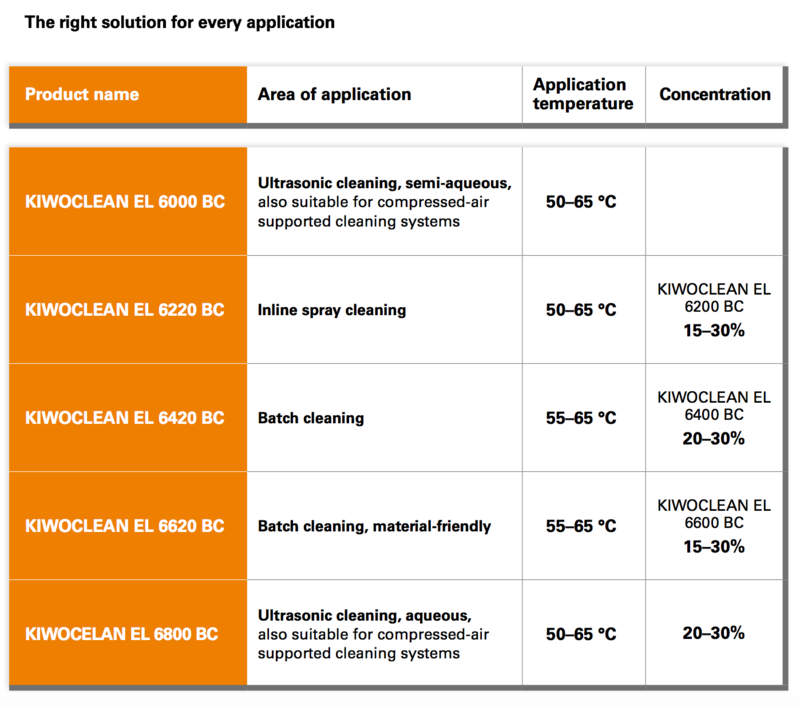 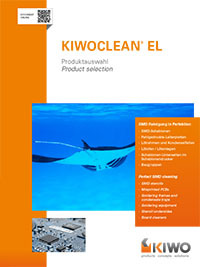 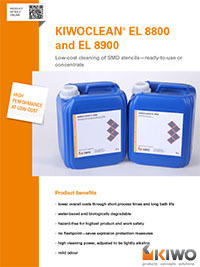 KIWOCLEAN EL board cleaners are characterised by their low odour and the highest degree of workplace and product safety. 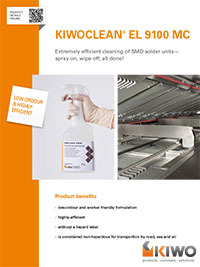 High flux loading capacity and good filterability lead to lower total process costs. 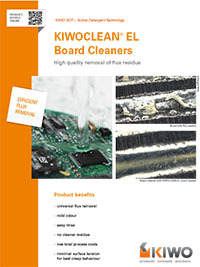 KIWOCLEAN EL board cleaners have excellent rinsing properties with de-ionised water, which ensure that no cleaner residue is left on the boards.